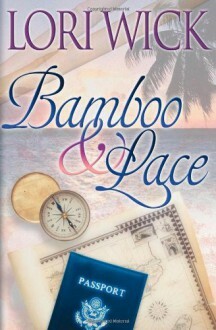 Bestselling author Lori Wick sails readers to an exotic island¼and an intriguing romance. Lily Walsh has spent all of her 24 years as a missionary’s daughter on the Asian island of Kashien. Isolated from the western world, she devours the letters she receives from her brother in Hawaii. When her father reluctantly allows Lily to visit Jeff, she is thrilled–until he is called away. Left with the Kapaia family, Lily awakens to a new understanding of God’s love and of who she was created to be. Returning home, her deepening friendship with Gabe Kapaia and her faith are tested by her father’s increasingly stern ways. Will her obedience cost her the desire of her heart? I really enjoyed this book until the end. It just went on and on. It was like watching the last Lord of the Rings movie where we all thought it should have ended LONG before it did. It was very romantic but so drawn out.